About a month ago, boyfriend Jack graduated from law school. 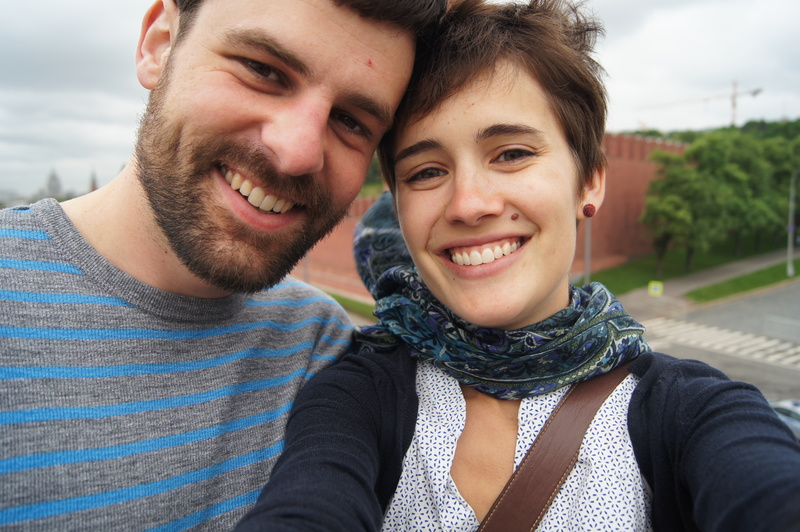 Five days after that, he came to Moscow, and though he’s been back in KS for a few weeks now, I’m incredibly happy and thankful about his 2.5 week visit here. Obviously, I’ve been incredibly happy and thankful for all my visitors, but because of some visa complications, I thought boyfriend Jack wasn’t going to make it here…or at least not on time. In a nutshell, the travel service we used for his visa lost all of his application materials (including his passport). 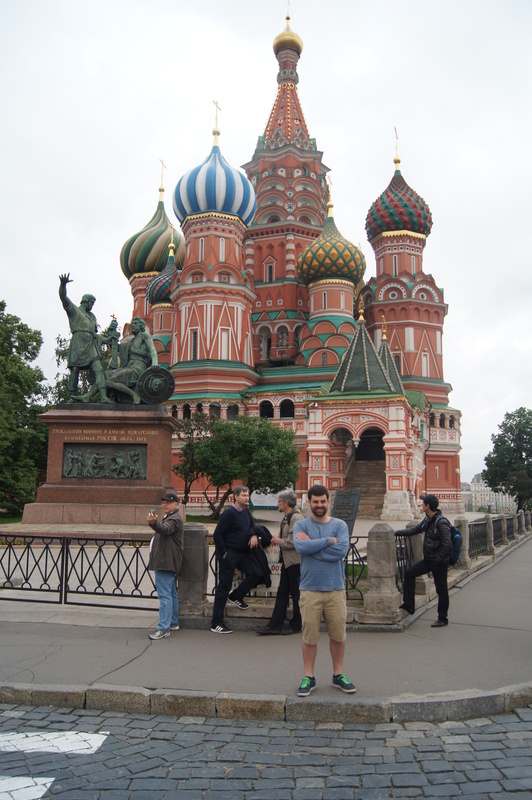 Anyone who has traveled to Russia (or any other country requiring a visa) will tell you that visa stuff is frustrating and difficult and that no matter what you do, you will probably make a mistake. 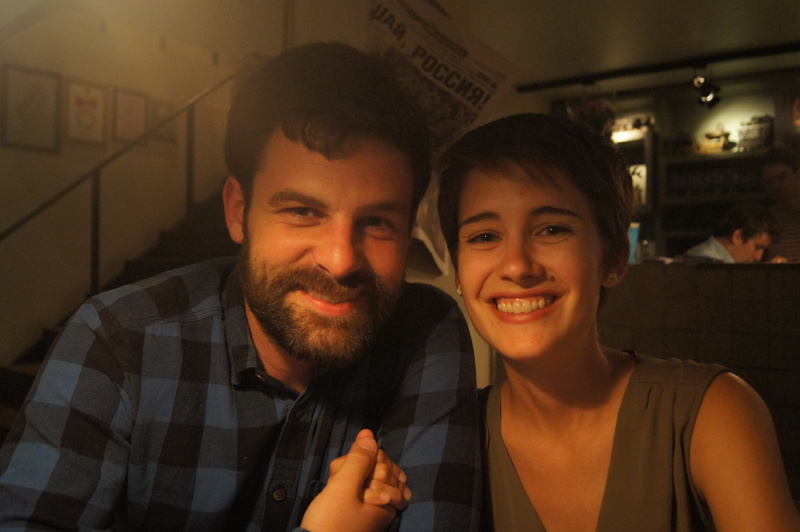 I made a mistake in my visa that caused me to come to Russia a week late in August; bestie Molly had to resubmit her application; and the Pfeiffers had to wait a long, long time for theirs to arrive. This was the worst problem I’d encountered though…and there wasn’t much we could do about it. They eventually found it (four days before his flight)–it had apparently gone from the Russian consultant in Washington DC to the Russian consulate in Seattle without anyone really making note of that. The consulate requested a new document from Russia, and Oxana got that within two hours (even though it was already 8 pm in Moscow). Sveta was even willing to forge documents, though she may not admit it now. Jack and I prayed a lot. And the visa arrived two days before his flight. 1. When you think your boyfriend you haven’t seen for almost five months isn’t going to get to come to Moscow, you are sad. When you find out that said boyfriend does in fact get to come and then you actually see him in the airport–in real life 3D and not through a Google+ Hangout–you are thankful and relieved and though you have to work during the days, you take him to all the Moscow places and make him pose for photos in the evenings. 2. You bring him to work with you the first few days because even though he can’t really do anything there and you are busy, you just. can’t. bear. to. be. apart. Plus, you’ve told all these great stories about people at work and you’ve complained so much about the stairwell with the tiles that are coming unglued and you’ve said zapekanka is so so good that you want him to meet these people and see these things and try this food. So, he sits outside of your office and contentedly reads and plays Solitaire, and your Russian friends are more hospitable to him than you are, because you know he is totally happy, but it is in their nature to continually ask if he is comfortable or hungry or thirsty. 3. 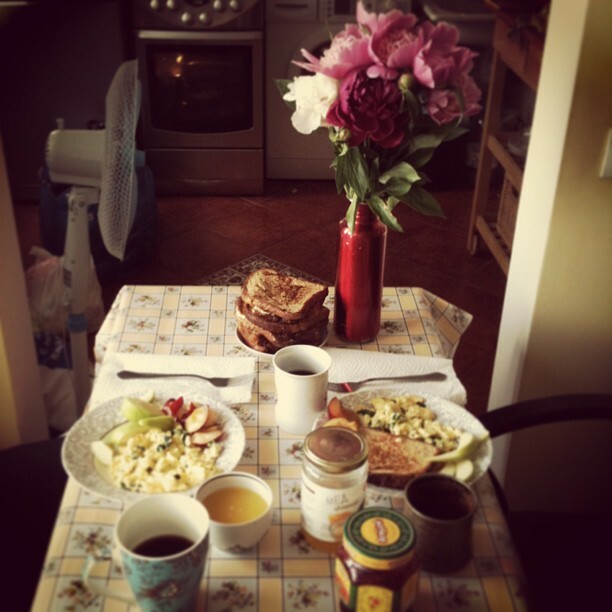 You cook for him a lot because you are happy and because you realize you’ve gotten lazy with meals in the last few months. You assume he won’t want to have scrambled eggs both for breakfast and dinner, so you decide on spaghetti. The two of you can’t find garlic, but you improvise cheese bread and the whole meal is actually quite good. He insists on moving the tiny table from the kitchen to the living room so you can sit across from one another, and though it blocks the doorway to the kitchen and makes getting anything from the kitchen difficult (because your apartment is real small) it ends up being a great idea so you do it for every meal. 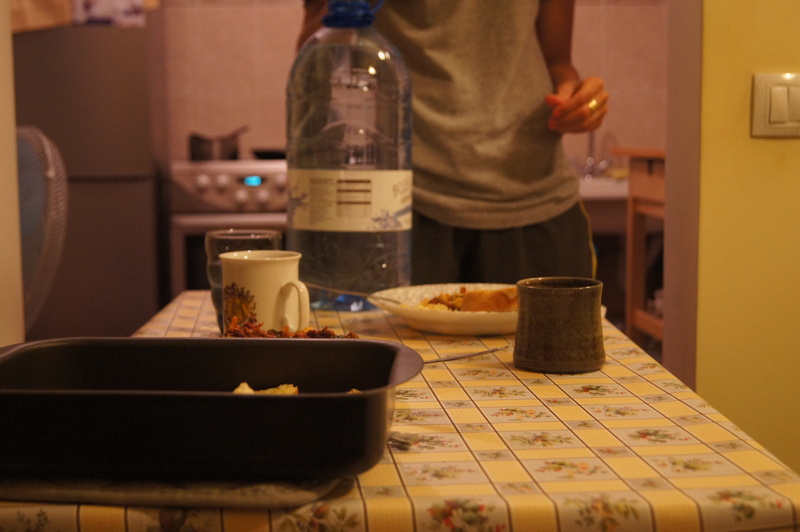 You both decide that successful meals, even simple ones, taste better in Russia because they’re harder to make. And then the sunsets around 10:30 pm. 4. He cooks for you, too, normally breakfast. On your birthday, he goes to the grocery store alone and comes back with keifer instead of milk, which is not what you use for French toast, so you go back to the store with him. 5. You also realize that it’s pretty awesome to be treated on your birthday. After church, he takes you out for coffee and cake and then Georgian food with your friends and buys you a ukulele and flowers. 6. You try new things. You want to take him golfing. To get there you have to confront one of your greatest fears–the bus–and it only ends up being a little scary. Even though you stare at the Moscow map on your tablet and then check street names out the window the whole time because you are just that nervous about getting lost (or perhaps because you check the street names with the Moscow map on your tablet the whole time), you don’t get lost. 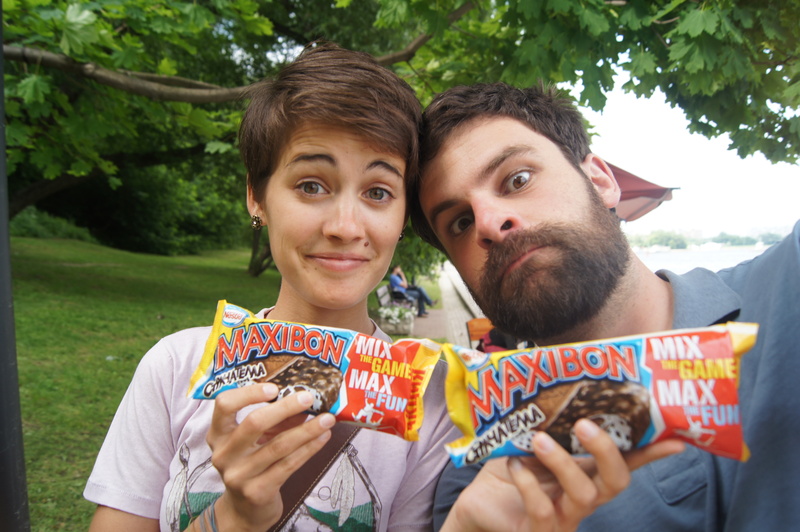 You were never afraid of the ice cream stand, but you go there for the first time and discover the Maxibon (a Nestle crunch ice cream bar plus an ice cream sandwich). He convinces you that the Maxibon can serve as lunch. Some days you have two. 7. You also might travel. But that’s another blog. Thanks for sharing. Great photos. You made me laugh. Thanks for sharing & make me energized through your story. Great, Kara!